This is the best year to date with only 21 cases of Wild Polio Virus in only two countries. The cases of circulating Vaccine Derived Polio Virus occur due to low rates of immunisation in these countries. They will be eliminated when a change is made from the Oral Polio Vaccine (OPV) to the Inactivated Polio Vaccine (IPV). To see the latest report from the Global Polio Eradication Initiave click here. Use link to read more. Since 1988, Rotary International and its partners in the Global Polio Eradication Initiative (GPEI) — the World Health Organization, UNICEF, and the U.S. Centers for Disease Control and Prevention — have worked to wipe polio from the face of the earth. A volunteer service organization of 1.2 million men and women, Rotary began immunizing children against polio in 1985 and became a spearheading partner in the GPEI three years later. 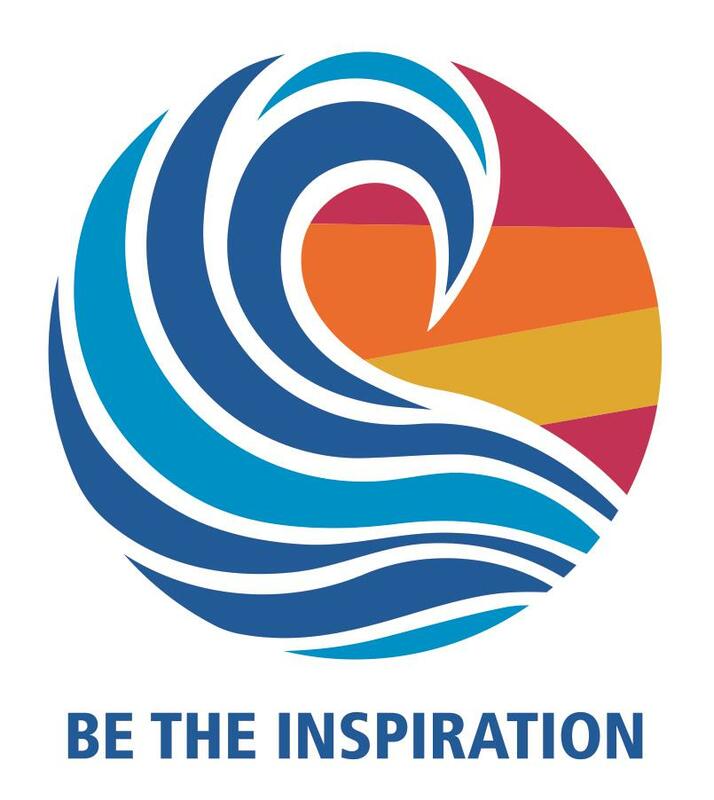 Rotary’s main responsibilities are fundraising, advocacy, and volunteer recruitment. 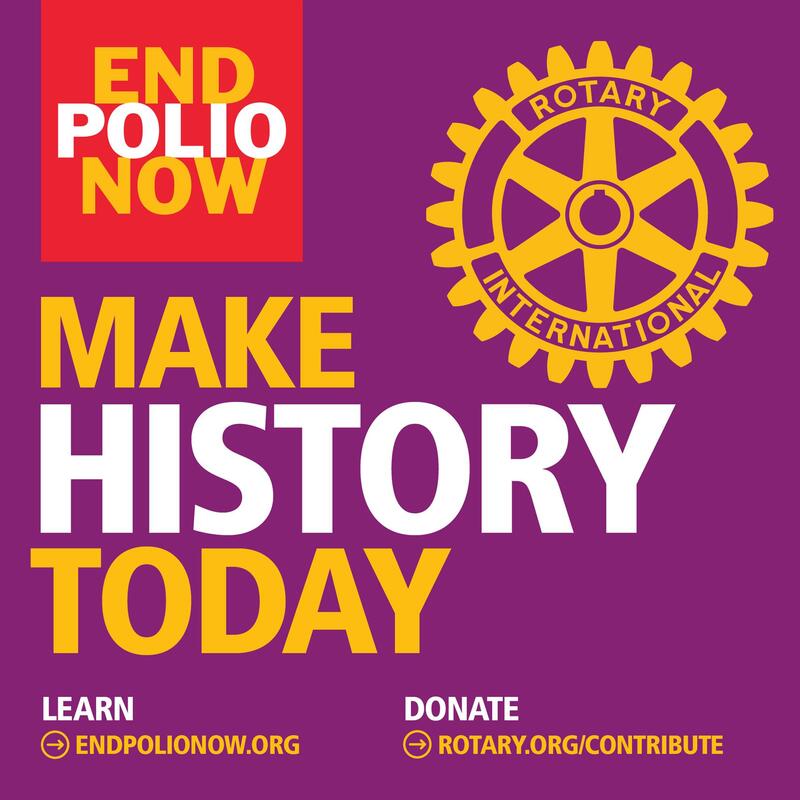 To date, Rotary has contributed more than US$900 million to the polio eradication effort. With over 33,000 clubs in more than 200 countries and geographical areas, Rotary is able to reach out to national governments worldwide to generate crucial financial and technical support for polio eradication. Since 1995, the advocacy efforts of Rotary and its partners have helped raise more than $8 billion from donor governments. Rotary clubs also provide “sweat equity” on the ground in polio-affected communities, which helps ensure that leaders at all levels remain focused on the eradication goal. Rotary club members have volunteered their time and personal resources to reach more than two billion children in 122 countries with the oral polio vaccine. Thanks to Rotary and its partners, the world has seen polio cases plummet by more than 99 percent, preventing five million instances of child paralysis and 250,000 deaths. 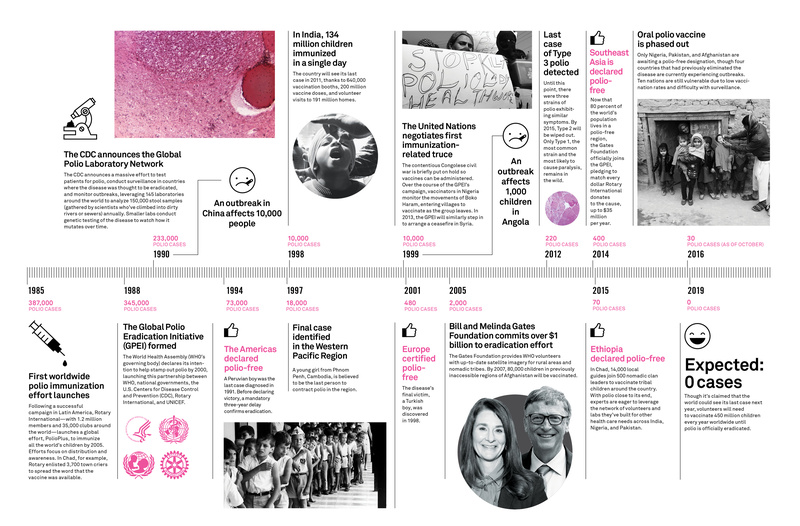 When Rotary began its eradication work, polio infected more than 350,000 children annually. In 2011, only 650 cases were reported worldwide. For the period to end of June 2012 only 84 cases have been reported. But the polio cases represented by that final 1 percent are the most difficult and expensive to prevent. Challenges include geographic isolation, worker fatigue, armed conflict, and cultural barriers. That’s why it’s so important to generate the funding needed to End Polio Now. To fail is to invite a polio resurgence that would condemn millions of children to lifelong paralysis in the years ahead. You can make a contribution to help eradicate Polio by pressing this button. Every contribution helps. The bottom line is this: As long as polio threatens even one child anywhere in the world, all children — wherever they live — remain at risk.